No one knows what Mother Nature has in store for you and your home in the midst of a severe rain storm. Sometimes you get lucky, and other times you end up with a massively flooded basement. When the latter happens, you can either stare at all that water, dumbstruck and in shock, or you can follow a solid plan of action—before the damage gets worse. And it can get much worse if you don’t do something fast! You might think of this first, but just in case, we’re going to remind you anyway. Unfortunately your circuit breaker/power switch may be on the other side of a lot of water, so you’re going to have to wade through it. Before you dip your foot into that flood, be sure that the water isn’t conducting any loose electrical current. If this is the case, you might want to hesitate doing this yourself and just call an electrician right away. Face it, you’re going to need the services of an electrician sooner or later, so it might as well be now. You might make things worse otherwise. Look on the bright side: if you have homeowner’s or renters insurance you’ll likely end up paying little beyond your deductible. This task may be more difficult than shutting off the power, because the damage is not going to be pretty. This is the chore you may dread the most, but it’s going to be some important information to provide to your insurance adjuster. You’ll need to document everything from personal items to furniture, fixtures and walls. Take pictures of every bit of damage with your phone while you’re at it. Then remove as many of these items from the water as quickly as you can. Remove the water from your basement! If you live in an area prone to flooding it might be a good idea to invest in a sump pump (new pumps average $150 in cost)—particularly one with at least a ¾-HP motor. If you do have a sump pump installed in your basement and discover that it’s not working, try loosening the rod as it may be stuck. 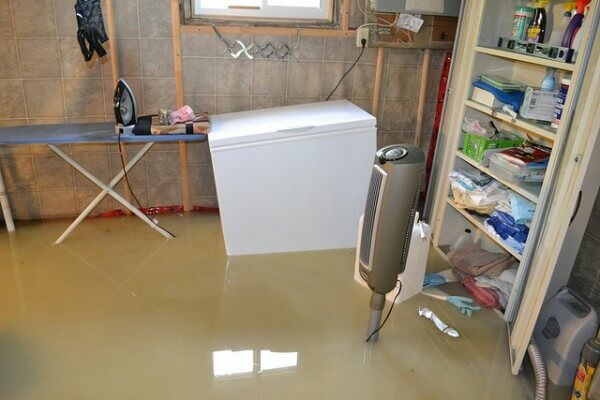 If you don’t have a sump pump installed and aren’t planning on purchasing a unit in the near future, then you should definitely contact a professional restoration company immediately. It is imperative to get that water removed as quickly as possible to avoid further damage. That amount of water is not going to simply evaporate! The idea of filling out claim forms and collecting repair invoices doesn’t sound like fun, but it’s something that must be done. You are now armed with pictures and documentation of all the initial damage, so this should make your claims adjuster happy. If your particular damage is part of a collective disaster in your area, you’ll need to be patient with your insurance company because they might be dealing with multitudes of other customers besides you. But take comfort in knowing that the claims process will soon be underway because an adjuster will be visiting you, providing you with your coverage options and recommendations for contractors. You’ve reached the point where you’ve done your part and now you’ll need the help of restoration professionals like Orange Restoration. The professionals will remove, dry and store your property while your basement is being repaired. This includes restoring your photos, memorabilia and furniture as much as they possibly can. They will have all of the necessary equipment and restoration knowledge and expertise to handle any damage. The professionals will also aid you in dealing with your insurance company, providing the insurance company with more detailed documentation and itemized costs.